Home Bone, Joint & Muscle Is It Possible to Treat Scoliosis? Is It Possible to Treat Scoliosis? A rather common spine condition, scoliosis refers to a condition in which you develop an uncommon curve of the backbone or spine. The condition affects adolescents more often with more than 3 million new cases surfacing in the U.S. each year. Interestingly, most of these cases involve children between the ages of 10 and 12 years old. When looking from the side, you will notice the spine have normal curves from the side, but it appears completely straight when you look at it from the front. You have scoliosis when you develop additional curves to your spine, which may cause the bones of the spine to twist on each other. Is it possible to treat scoliosis? What can be done to manage your condition in a more effective manner? Let's find out more about it. An abnormal curve of the backbone is the most common symptom of scoliosis. The curve is usually quite mild in the beginning and becomes worse gradually. In most cases, the curve goes unnoticed until it turns into a more severe physical deformity. Some children may be diagnosed during routine school screening for scoliosis, while others may notice that their clothes do not fit properly as they did in the past. Moreover, scoliosis in some children may cause their head to look off center – it is also possible to notice that one shoulder or hip is higher than the other side. Scoliosis is usually not painful, but some types may cause rib pain, back pain, muscle spasms, neck pain, and abdominal pain. If your child develops the condition when they are under 3 years of age, they are known to have an infantile idiopathic scoliosis. For children under the age 10, the disorder is given the name juvenile idiopathic scoliosis. It is also possible to develop the condition when you are 10-18 years old, in which case it is called adolescent idiopathic scoliosis. It is worth mentioning that most cases of scoliosis do not have any evident cause. Many parents ask if they could have done anything to prevent the disorder, but the truth is that there is currently no prevention method available. Many parents think that heavy backpacks or bad posture might have played a role, but the reality is that these things might increase the risk of other back disorders, but they do nothing to cause scoliosis. Unfortunately, there is no real cure for scoliosis, but you can certainly try many treatment options to keep your spinal curve from becoming worse over time. The treatment often depends heavily on the severity of the spinal curvature. It is equally important to consider the likelihood of your condition getting worse. There are three main treatment approaches used to prevent further complications. These options include careful observation, bracing, and surgery. You may not require any treatment for mild curves, and that is usually true in 90% of scoliosis cases. You should talk to your healthcare provider if you notice your child have this condition. In most cases, doctors use the wait-and-see approach before suggesting any treatment option. 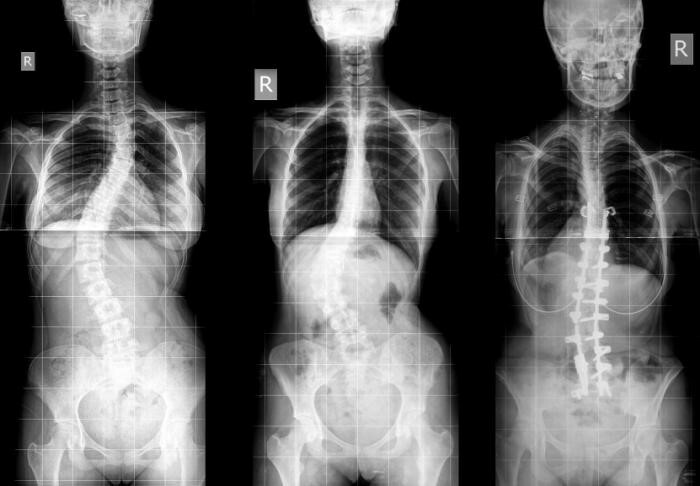 In case of idiopathic scoliosis, doctors have no clue about what has caused the disorder. However, they would carefully monitor your child if they notice a curve at angles less than 20 degrees. They may suggest other treatment options if they notice the curve becoming worse with a child undergoing physical changes in puberty. Your healthcare provider may recommend wearing a back brace if your child's spinal curve is more than 20 degrees but is less than 40 degrees. Bracing may not correct the curve, but it may help slow down the progress. Made of hard plastic, you can find different types of braces with some of them quite elastic while others being quite rigid. The severity of the curve will help determine the type of bracing your child would need. If your child's doctor does recommend bracing, know that they will have to wear it for 16-23 hours a day. When used correctly, bracing may help keep the curve from becoming worse while your child is still in their growing years. Your child's doctor may recommend surgery if the curve is more than 50 degrees. Such curves are likely to get worse with time. They need surgery because they may affect the function of the lungs. Spinal fusion surgery is usually the most suitable option here. The surgery involves fusing the small bones of the spine so that the curve would stop increasing. The idea is to disrupt the growth in this area. In addition to these treatment approaches, doctors may also recommend stretches, physical therapy, and exercises. They recommend these treatment options usually for degenerative scoliosis. OTC medication and bracing may also help here. Surgery may also be required if your degenerative scoliosis is causing pain in your legs and back. Nutritional supplements, chiropractic treatment, and electrical stimulation are some other treatment options, but you need to bear in mind that none of these treatments are going to correct the curve or guarantee that spinal curves will stop changing over time.